The 7.9 earthquake struck at 10.46 on the morning of February 3, 1931, the first day of the school year, a beautiful summer’s day. It was felt as two distinct movements half a minute apart – a massive upthrust and a huge resettling – followed by hundreds of aftershocks over the next few days. 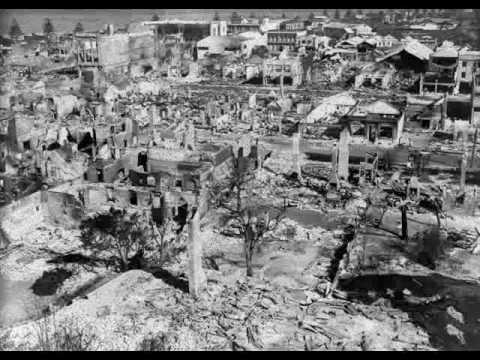 Centred 15km north of Napier, it caused the deaths of 258 people and injuries and trauma to thousands more, while devastating the centres of Napier and Hastings. 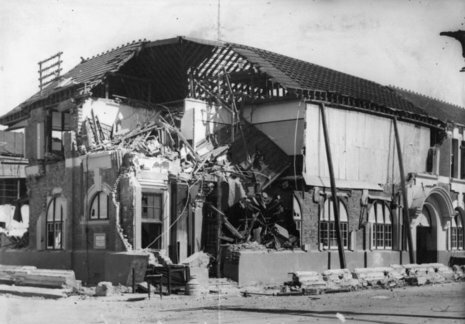 On a global scale, the Hawke’s Bay earthquake was impressively large. At magnitude 7.8, it was very similar in size to the recent devastating earthquake in the western Indian state of Gujarat. Research in recent years shows that the 1931 earthquake released only a small portion of the accumulated strain across the boundary of the Pacific and Australian plates. 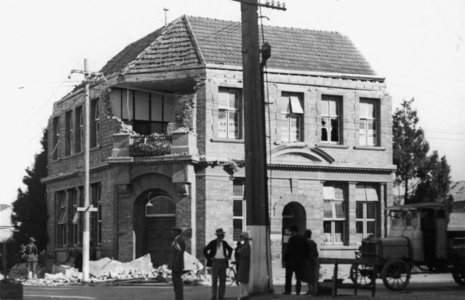 Researchers have also concluded that the 1931 earthquake initiated on the Napier Fault just offshore from Whirinaki and within seconds had travelled north and south rupturing about 120km of the fault underground. The west side of the fault went up and the east side went down. The most severe vertical movement occurred offshore in Hawke Bay. 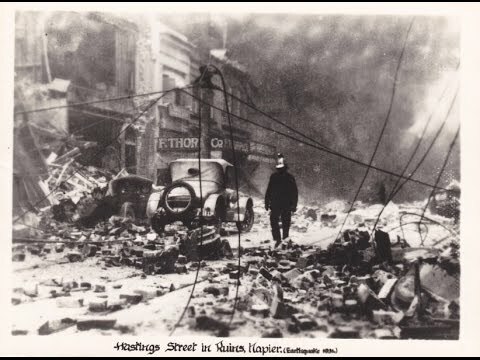 Nearly all buildings in the central areas of Napier and Hastings were levelled (The Dominion noted that "Napier as a town has been wiped off the map") and the death toll included 161 people in Napier, 93 in Hastings, and two in Wairoa. Thousands more were injured, with over 400 hospitalised. The local landscape changed dramatically, with the coastal areas around Napier being lifted by around two metres. Some 40 km² of sea-bed became dry land, where the airport, housing and industrial property developments now exist. The most noticeable land change was the uplifting of the Ahuriri Lagoon. The lagoon was lifted more than 2.7 metres, which resulted in draining 2230 hectares of the lagoon. Today, the area is where farmland and the Hawkes Bay Airport is located. Within minutes fires broke out in chemist shops in Hastings Street. The fire brigade almost had the first fire under control when the second broke out in a shop at the back of the Masonic Hotel. The hotel was quickly engulfed in flames. The wind at this point also picked up strength and began blowing from the east, pushing the fires back over the city. With water mains broken the brigade was unable to save many buildings. Pumping water from Clive Square they were able to stop the fires spreading South. Only a few buildings in the central Napier area survived. Some withstood the earthquake only to be gutted by fire. Trapped people had to be left to burn as people were unable to free them in time. By Wednesday morning the main fires were out but the ruins still smouldered for several days.